For 160 years, American Printing House APH has created useful tools for school-age individuals who are blind or visually impaired. By doing this, APH has assisted generations of people from around the nation obtain the education necessary to be successfully employed. Within its own organization, APH has created an inclusive environment that employs qualified individuals with disabilities in a variety of fields, such as marketing, computer and software engineering, customer and public relations, product development and production, and training. In an effort to have accessibility information readily available to its employees, APH has also created an Accessibility Hub: a user-friendly resource that hosts accessibility checklists for the most commonly used electronic formats in the organization. These formats include MS Word, Outlook, Powerpoint, and Excel. The Accessibility Hub also includes a checklist for planning APH meetings, and in the future, it will host our diversity training modules. The Accessibility Hub may be accessed at: www.aphaccessibility.com. APH realizes a diverse work environment benefits all of us. Working side by side with people who have a personal connection to our mission of “creating educational, workplace, and independent living products and services for people who are visually impaired”, ensures that everyone, from designers and developers to marketing and sales, recognize the importance of the products we are putting in the hands of our future workforce. Our work environment creates an awareness and an increased sensitivity that can only be developed by personal experience. We still have a lot of work to do. Today, the unemployment rate among people who are visually impaired remains high, at around 70%. 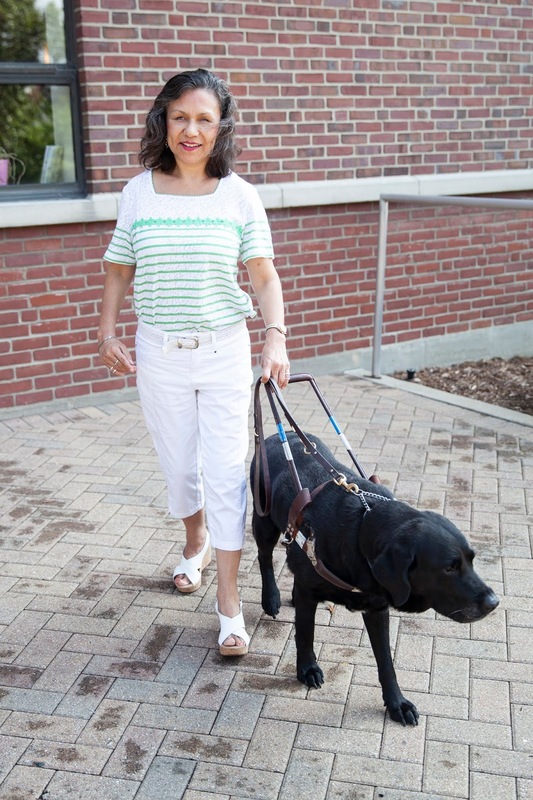 But, with advances in technology, and changing attitudes about what blind individuals are capable of doing, we have high expectations that this numbers will decrease moving forward. At APH we believe the future belongs to everyone. Maria Delgado is a native of Mexico. She became totally blind after graduating from High School at the age of 19. Her former work experience ranges from hosting a bilingual radio show, to testing web pages and applications for accessibility. She is a Certified Accessibility Professional and a certified Medical Interpreter. Currently she works as a Spanish Translator and Cultural Consultant for the University of Kentucky, and it is APH’s Director of Accessibility. In her personal time, she enjoys traveling and taking Argentinian Tango dance lessons.